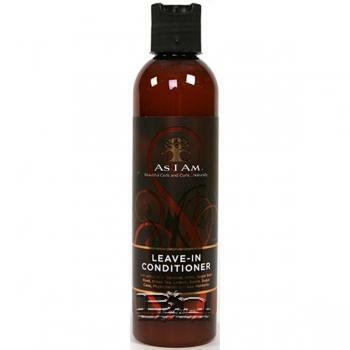 As I Am Leave-In Conditioner with extracts of Coconut, Amla, Sugar Beet Root, Green Tea, Lemon, Apple, Sugar Cane, Phytosterols and Saw Palmetto. Directions: Apply liberally to clean, wet, detangled hair and distribute well. Proceed to style.